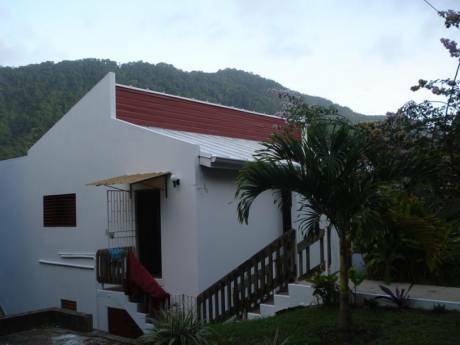 Beautiful apartment in sunny Tobago, just 5 minute's walk from the beach. 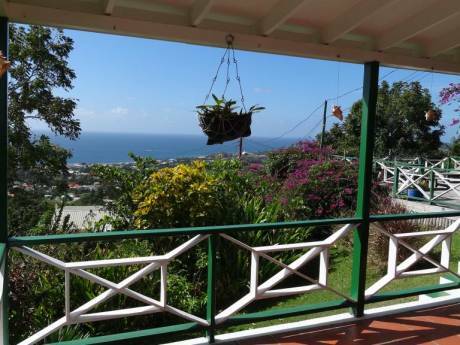 We offer a large, bright and comfortable apartment in sun-drenched, gorgeous Tobago, a mere minutes' walk from stunning tropical beaches. The double bedroom overlooks the private communal pool and garden with tropical wildflowers, and trees in the distance. There is a spacious kitchenette and dining table, adjoining a living room with a comfortable sofa and television. The apartment opens out into a passageway leading to a large, communal, wooden sun terrace, overlooking a courtyard on one side, a field with grazing sheep on the other, and surrounded by wildflowers and trees. There is daily maid service, and the office is open during the day. There is access to internet in the bright communal sitting room and library just outside the office, and a delightful walled courtyard over looked by the sun terrace and balconies. There is a watchman patrolling the gated compound at night. ideally situated As mentioned, there is a five minute walk to beautiful beaches, including the famous Pigeon Point. It is also walking distance from restaurants, bars, and shops, as well as a reasonable distance from the island's airport. The apartment is within a 15 minute drive from stunning golf courses with views of the beach, and there are more beautiful beaches dotted all around the island. This is the perfect holiday location during chilly winter months. 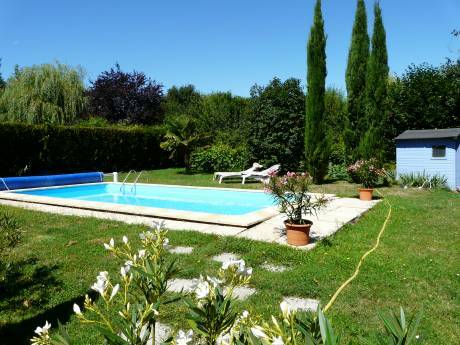 Situated in a picturesque area on the highest part of Paris, with shopping streets around, not far from the beautiful garden of the Buttes Chaumont and the famous Pere Lachaise cemetary. Many artists live around, in small houses with gardens. It is one of the most typical "quartiers" of Paris in which many films are shot. Nice restaurants, French and foreign cuisines, Cafes with music and entertainment in the evening. Ideally located as a touring base, our town offers easy access to the cities of Oxford, Windsor and Henley in around an hour and the tourist attraction of Stone Henge in similar time. For teenagers, thorpe adventure park is about 35 miles away with large scale roller-coasters and rides. We would provide a private parking space at the station for the use of any exchanger. Trains run until the early hours of the morning so going to a West End Show or dinner is not a problem. On your Tobago vacation you can plan various Tobago Tours to enjoy a host of activities that appeal to everyone. We've got beautiful Tobago beaches, great Scuba Diving, two World Class Golf Courses, Hiking in the Tobago Rain Forest and Fishing. Tobago tours can be arranged to help you make the most of your time here. Visit our Tobago Rain Forest. The island's Main Ridge, is the oldest rain forest reserve in the entire Western Hemisphere, protected since 1765. Tobago is nature at its very best! With over 400 species of birds recorded, the Ridge&#8217;s Gilpin Trace is just one great hiking trail where you can admire a wide variety of feathery friends! Tobago beaches are all beautiful and a perfect choice is Store Bay Beach which is certainly the closest to home. The nearby dive shop can arrange Scuba diving tours to help you enjoy Tobago&#8217;s underwater life! Another popular tour is on the Glass bottom boat and is a snorkeling tour to the world-famous Buccoo Reef and Nylon Pool. For those who prefer fresh water to salt, our island has a myriad of refreshing, crystal clear waterfalls and tours can be arranged. Tobago is full of entertainment! From the annual Carnival celebrations to the Harvest and Heritage Festivals, there&#8217;s always an event to be enjoyed! Add to the mix a mouth-watering array of world-class restaurants and hot nightspots and you have a partygoer&#8217;s paradise! Take an island tour and discover Tobago in so many ways. We can organize most of them for you! Whether you prefer biking, horseback riding, car rentals or to charter catamarans, exploring our jewel of an island will be an adventure! During colonization, Tobago was the most fought-over territory, having been occupied, at different times, by the British, Dutch and French. The island&#8217;s well-preserved historical sites like Fort King George and the Arnos Vale Water Wheel offer visitors a glimpse into our rich Caribbean history.